When I got ready to watch some TV in the evening when camping without cable hookup I got frustrated by long scan times and few channels showing up. Now I merely press select button (which turns it on by changing from park cable mode) and start a scan. The scan will locate the strongest signal in the area and I can adjust gain to help it reach out farther. Once a channel is revealed I can re-orient the antenna for max signal strength. If signal strength is high I can dial down gain and peak signal again by turning antenna. Only then do I do a channel scan on my TV. If there is a specific channel I want after looking at an online map of OTA tv stations in the area I can select that channel and then dial in max strength for that channel alone. Comes in handy if you're watching a channel that is delivering an unsteady picture, often looking like a checkerboard. Merely adjust gain and antenna direction for max signal strength. 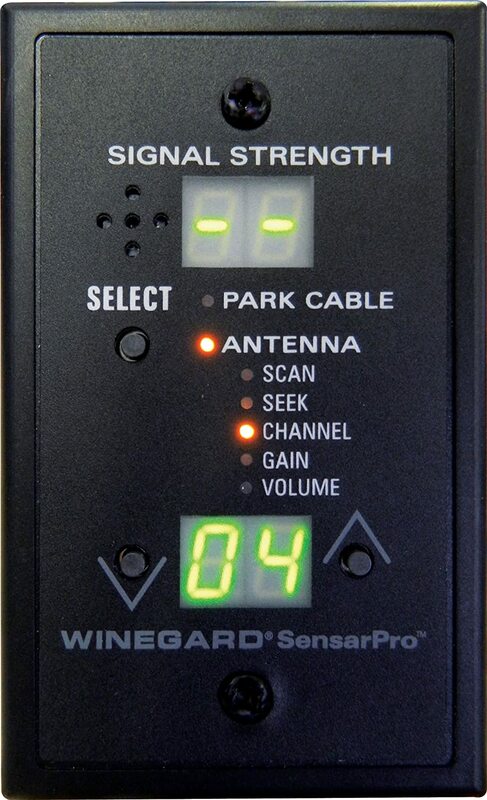 According to Winegard it works with all Sensar antenna's including the Rayzar's (Millenium - Falcon typs). Anyone else using this Amplifier/Signal Strength Meter? I use an app on my phone that shows where they are, how far, and if you can/cannot receive the signal. Which app is it? I have the TV Towers app and it really doesnt work that well in my experience. DTV antenna. Free and works pretty good. Use it every place we stay that does not have cable, which most don't. I like to keep track of local news/weather when out in the RV. Great tip Deuce. Will install it. We have one of those and it works well. I won't say it's the best investment we've made, but it sure cuts down on the tv setup time. I've been using TV Antenna Helper for years. Just downloaded Winegard Tower Finder but haven't used it. Way easier and cheaper than buying and installing the Sensor Pro. Just step outside and see which direction everyone else's antenna is pointing. I was using the Winegard app for quite a while but it didn't really help in telling what signal strength I'd get or help me "peak" the signal by re-orienting the antenna or increasing the gain. You also need a compass with "Tower Finder". The top of your phone screen will always be North but do you know where North really is where you are? As for just looking which direction the antenna's are pointed, what do you do when none are pointed the same direction or almost everyone else has a satellite "dome"? There is a compass app for your phone.